Our services cover both the club and private sector market, both at home and abroad, and we pride ourselves on a high standard of workmanship and excellent after sales service. Cue Above The Rest Ltd is a long established company which provides a comprehensive service. All our fitters are fully qualified and have over 30 years experience in the trade. 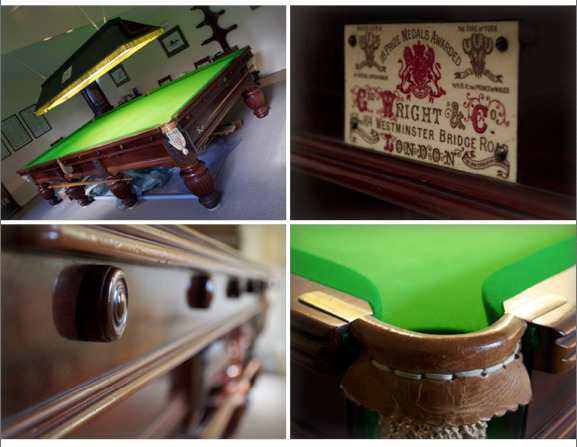 We offer a comprehensive range of snooker, pool tables, football and bar billiard tables along with all accessories and a range of services including installation, maintenance, recover and repairs and restoration of tables. If you are thinking of selling your table or looking to buy a second hand one, then please forward your high quailty images to our photography department at cueabovetherest@yahoo.co.uk we can then help sell them on your behalf and even arrange transport to its new home.